regardless of LTE, WiFi, Bluetooth, Zigbee, or LoRa technology, reliable and predictable RF performance is the MUST in the highly competitive IoT market. is getting into the lives of consumers in every possible type and approach. That is, simulative testing over the full spectrum of use contingence and customized function tests are getting more important. Addressing these two test requirements, iST is offering professional consultancy and relevant test program to enhance the competitiveness of customer products in wireless IoT market right from their development stage. 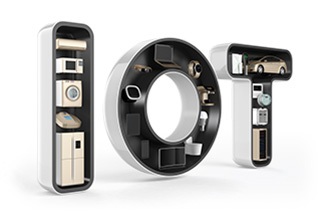 In an IoT world of everything connected to anything, smartphones and tablets among other smart handheld devices are centering and connecting all application scenarios in the most convenient way. This highlights the importance of speed and quality in wireless communication. As all terminal device brands are waging the next generation war of IoT, they pay attention not only to the product placement but also the product OTA (Over the Air) performance. This will result in vast test and verification requirements. Main measurement items of OTA in SISO structure are: Total Radiated Power (TRP), Total Isotropic Sensitivity (TIS) and Intermediate Channel Sensitivity (ICS). 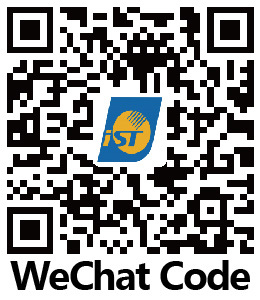 iST is a CTIA (Cellular Telecommunications and Internet Association) certified lab, featuring TAF ISO17025 quality management system certification, licensed CATL lab. It offers OTA communication tests covering 2G, 3G, 4G, Wi-Fi, Bluetooth, Zigbee, AGPS, antenna performance and ECC debugging among other standard and precision test services. In addition to mono-antenna SISO test, the multi-antenna application is now a new big wave in wireless communication. Fast rising demands of improved Data Throughput, the subject of MIMO TM3 test, are ramping up the MIMO design and application requirements for a smart handheld device. Though MIMO v1.0 by CTIA measures Data Throughput based on MIMO SIR, the “Power” factor also plays a key role in determining MIMO Throughput as SIR may fail to tell all symptoms directly. Being a CTIA licensed MIMO OTA lab (CATL, CTIA Authorized Test Labs) iST did not only set up the standard MIMO SIR measurement environment but also adds a MIMO power environment to drill down the Throughput performance and learn about actual application status. The Octoscope test system implemented by iST may execute customized tests over IoT environment and functions, including MIMO Throughput, Roaming performance, Co-existence / interference and Multi-Room Test. Implementation of total IoT application requires multiple transmission protocol enabled at the same time. For example, data captured by NFC device sent to the cloud through WiFi while the LTE is running voice communication and USB port data transmission. It is clear that the total performance cannot rely on the efficiency of a single item test. simulate the measurement system specific distance with the programmable attenuator to get the attenuation value (distance) and impact of the sample angle on Throughput. all these tests may be added with interference tests by wireless signals including WiFi, BT and Microwave. simulate changes of AP signals by moving the mobile devices and measure up times required for roaming to ensure the performance of roaming mobile devices. iST simulates the real residential environment with multiple isolation boxes and RF attenuators along with MIMO Multipath Emulator which, better than actual indoor test nodes, features consistent and reproducible test results.